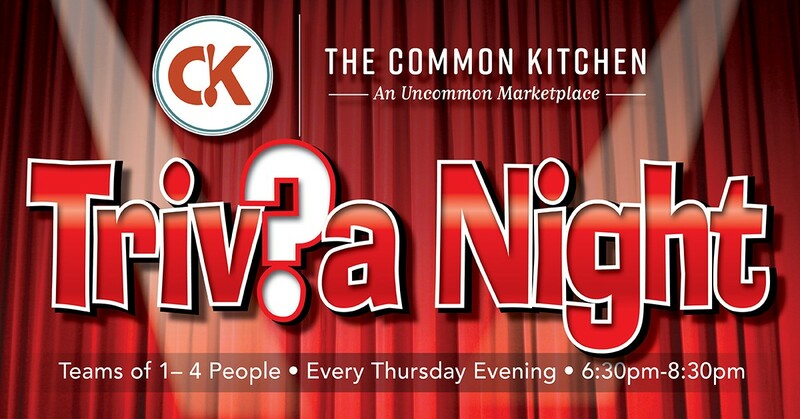 Thursday night is Trivia Night at the Common Kitchen! The title of Common Kitchen Trivia Champs could be in your future… gather a team and come out for challenging questions and delicious food! Teams can consist of 1-4 people, and it’s free to play.